The under-display fingerprint reader may end up being replaced before it even becomes mainstream, at least in high-end smartphones, if a report by analyst Ming-Chi Kuo is right on the money. According to the paper, Android phone makers are looking into 3D mapping solutions for facial recognition in the wake of the iPhone X announcement with similar tech. The inquiries by smartphone manufacturers into 3D sensing have more than tripled since the announcement of the iPhone X, the analyst reports. 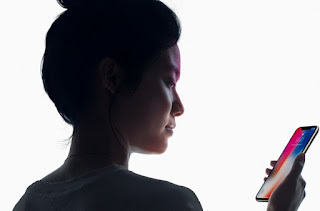 In addition to the security applications, these technologies allow for augmented reality use, as Apple has demonstrated with the Animoji, and are therefore seen as a novelty rather than an incremental upgrade that under-display readers appear to the user. Under-glass fingerprint recognition has been a few years in the making, yet it's still not ready for prime time apparently, resulting in last-minute solutions like the less than ideal placement of conventional sensors that we've seen on Samsung's latest Galaxy S8 and Note8 smartphones. Apple itself was rumored to be working on an optical under-display sensor for the iPhone X before shifting to 3D sensing. And while Samsung may persevere with optical fingerprint recognition as it's better suited to OLED displays - a market the company dominates, other makers may be switching to 3D mapping systems altogether to avoid component shortages. Meanwhile, Kuo reports, Samsung has settled on a compact image sensor (CIS) design for the Galaxy Note9's under-glass fingerprint sensor (so it iscoming after all, probably) as opposed to a "CIS+independent light emitter" setup. That's been made possible due to the fact that Samsung's flexible OLED panels can be customized to fit CIS-only designs, whereas rigid OLEDs by competing manufacturers out of China require the auxiliary light source.